THE INCIDENT IS SAID TO HAVE OCCURRED ON A rain-soaked road near Dallas. Four older women were riding in an Impala when a vehicle sped through a red light and smashed into them, the impact sending their car spinning. Although clearly at fault, the other driver, a male, climbed out and approached with his hands thrown up, as if to say that he’d had it with women drivers. If this man hoped to intimidate these “little old ladies,” his plan backfired. The financial meltdown that began in 2007 was caused by people leading what I call “unwealthy lifestyles.” Too much house furnished with multiple mortgage refinancing, and too much credit card use with ever-increasing interest rate terms. Those same exotic mortgages were then packaged into investment securities that Wall Street sold all over the world, which eventually turned into toxic waste on the balance sheets of icons in the financial industry such as American Insurance Group (AIG) and Merrill Lynch. The real estate bubble bursting impacted the financial system in ways no one could have imagined, and at this writing caused the stock market to lose more than half its worth in less than twelve months. As a result, people have become more averse to investing. But as the dust clears, you can be sure that new fortunes will be made. And why shouldn’t yours be one of them? Investing remains the best long-term vehicle for acquiring wealth. The purse has long been a reflection of our economic power. When husbands controlled the assets of Victorian women, the purse was dainty, designed for carrying calling cards and hankies. During World War II, as women took over nontraditional “Rosie the Riveter” jobs, sturdier purses became fashionable. At war’s end, when soldiers returned to the States and the workplace, women were again relegated to the home and purses dwindled in size. For the most part, purses have remained quintessentially female. One manufacturer tried popularizing the use of “man bags” for guys, but the idea never really caught on. In the United States, in particular, men largely view purses as girly girl, and that’s all right with me. I like the idea of having a financial identity that is distinctly female, like this investment guide. 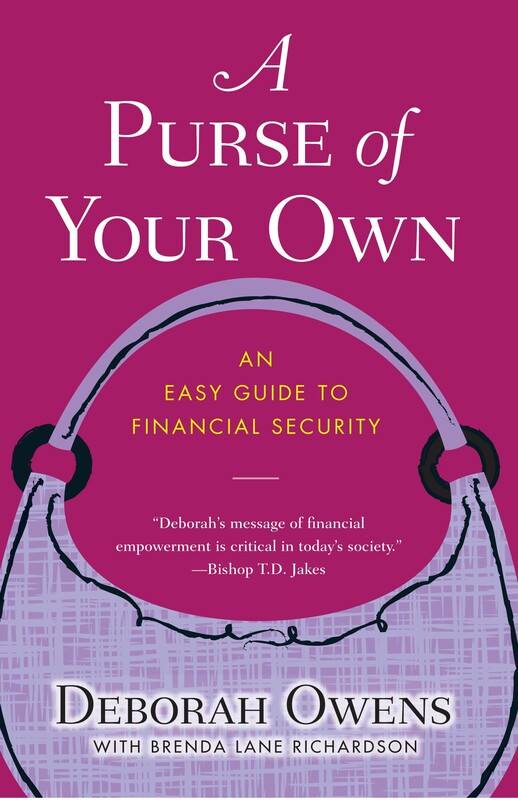 A Purse of Your Own accentuates investment strategies for building wealth based on our unique mélange of strengths, whatever that means for you as an individual. This work capitalizes on interests that include friendships, parenting, romance, dieting, and shopping. Rowling was distraught after her marriage ended. She might have been written off as “too emotional” and too “clingy,” except she used her understanding of the universal need to feel loved to write Harry Potter into the world history of literature. Winfrey, among the first to insist that friendships between women matter, built an entertainment empire by using the alchemy of her body, mind, and spirit to make us feel that’s she’s right there with us when we need her guidance, laughter, knowledge, and inspiration—as a BFF should be. Rowling and Winfrey exemplify generosity, creativity, and a desire for relationships—all of which are considered “feminine” characteristics. At the same time, they’re also ambitious, analytical, and fearless, traits many considered “masculine.” By drawing from these characteristics, each woman has created a purse that runneth over. My purse strategy is designed to help people feel more balanced even in the middle of a financial storm. Feminine attributes can serve as a counterbalance to masculine attributes, and vice versa. Admirable female strengths include being adaptable, humble, empathic, compassionate, persuasive, spontaneous, receptive, nurturing, intuitive, verbal, and sensitive. Admirable masculine characteristics include being ambitious, assertive, confident, disciplined, courageous, decisive, organized, analytical, competitive, independent, and rational. Please note that while I believe that women and men possess all these strengths, I refer to them with “male” or “female” designations for the purpose of calling attention to propensities, not as rigid determinations of gender. With family money tight, I dropped out of college to manage a women’s clothing store in Detroit, sometimes working sixteen hours a day. Though twenty years old, I realized that even by working excessively, I wouldn’t have enough hours in the day to create wealth. I was earning enough to pay bills, but it was obvious that if I kept going at this rate, I’d be carrying a “Counterfeit Purse”—that’s my term for the symbolic bag that some of us may carry, who might dress fashionably and drive a nice car but have nothing of real value. Like counterfeit purses sold on the streets, these bags might look great at first glance, but they won’t hold up to wear. A WEALTHY OUTLOOK: This foundational habit gives us a macro or “big picture” view of the world. It is a habit that encourages adding value. It is characteristic of successful people and a core value of great companies, allowing them to move beyond boundaries. I used these seven Wealthy Habits in concert. They lifted blinders from my eyes, helping me to see what others could not, and then gave me the confidence to take risks that I might otherwise have avoided. One of the biggest risks involved me investing in my own dreams. I loved my new job and the privileges it conferred. But beating beneath the breast pocket of my Ann Taylor suits was the heart of a rebel. I’ve always enjoyed the idea of sticking a lacquered fingernail in the eye of conventional wisdom, especially when it comes to teaching women personal finance. As I watched male colleagues try to convince women to adopt a hyperaggressive, win-at-any-cost attitude toward investing, I saw many an eye glaze over. It was obvious that it was the approaches that weren’t catching on, not the women. What made me certain? Well, think of what life is like for us. We’re often the ones who find what everybody else is looking for—the missing sock, book, mayonnaise at the back of the refrigerator, or Donna Karan in the pile of irregulars. Investing is made for our kind of thinking. Our brains are wired for doing many things at once. Investing is fast, moves quickly; it takes some planning and flexibility. We can fit it into busy lives; prepare it now and pick it up later. It’s interesting and makes for good conversation, if only we would start talking about it. But for the most part, that conversation was mainly happening among guys. I saw this situation and wanted to do something to address it. The question was whether I’d have the courage to give up a high-salaried position. As my career flourished, my husband freelanced as a television reporter in San Francisco and Los Angeles. He eventually accepted a position as a news reporter at the ABC affiliate in Baltimore and we relocated immediately afterward. I also gave birth to our daughter, Olivia, in 1992. Fidelity was extremely supportive and transferred me to a position as branch manager vice president in Washington, DC. After several years of live-in nannies and child care disasters, I told Terry that I longed to venture out on my own, to introduce the world of investing to groups that were underrep-resented in the field, particularly women. He encouraged me to go for it. In 1996, in addition to launching a career as a financial radio host, I founded Owens Media Group LLC to develop seminars and workshops for companies and nonprofit organizations. The goal of the radio show, Real Money, was to encourage people of all incomes to build wealth. My new show Wealthy Lifestyles airs weekly on the NPR affiliate in Baltimore, and as of this writing, we are gearing up for national syndication. The show has given me an opportunity to write books and tour with Bishop T. D. Jakes in “God’s Leading Ladies,” where we speak at stadiums filled with tens of thousands of women. I am currently on a Purse of Your Own campaign tour to financially empower one million women. Some of my other career highlights include speaking to women at an annual conference organized by Congressman Steny Hoyer, now the House Democratic majority leader, and I’ve joined several national tours for Working Mother Media, as well as some for the National Association of Securities Dealers (NASD) Office on Individual Investors. For all these events, I view my mission as one of preaching the gospel of wealth building to women from all walks of life, whether they are the wives of corporate CEOs in Palm Beach or Walmart greeters in Niceville, Florida. Now more than ever, it is critical for me to encourage others to adopt habits and attitudes that will help them fill their purses in any economic climate. I’ve talked with many women who assume that men make better investors because they learn risk tolerance naturally, but this is not necessarily the case. Psychiatrist Richard L. Peterson, author of Inside the Investor’s Brain: The Power of the Mind over Money, says, “Risk tolerance is more a cultural or personal narrative that we tell ourselves.” That means we need to learn to reframe our stories and see ourselves in a whole new light. I’m not alone in realizing that women tend to be highly competent investors. Studies tracking men and women suggest that we are better than the guys at investing because we’re more willing to collaborate with others who are more knowledgeable, including advisors and investment club members, while men have greater confidence in their own opinions. We’re also less likely than men to abandon an investment when the price takes a dive, and therefore we’re still around when prices do rise and we’re able to recoup a bigger investment. In other words, when we do invest and tap into our formidable well of feminine skills, we rule. But we’re falling behind because we’re less likely than men to invest in the stock market. Women often tell me that they’re confused and intimidated by the stock market. The most determined women already invest. Others have resisted giving up discretionary time and income to master a subject that’s presented as mind-numbingly complex. Since it’s easier to grasp an idea when you can relate it to something in your own life, Purse incorporates commonplace terminology and everyday experiences to illustrate the point that finance-based concepts are neither complex nor foreign. As you shop for promising investments, your sense of style will inform your choices and your creativity and intuition will emerge as a potent force. Purse can help check overspending tendencies by encouraging you to go to the mall to identify trends for investment opportunities. You might think, “I love that bag.” Rather than buy it, you might instead gather information on which company manufactures it. Then you might conduct research, asking questions such as: Is the company public? If it is, how are the shares doing? So the next time you’re in a store wondering about returns, you might not be asking where to get refunds on unwanted items, but about returns as in the profits on investments. Seven of the ten chapters revolve around one of the principles of the 7 Wealthy Habits, and I’ve added three additional chapters that delve into subjects such as retirement planning and forming a Purse Groups. Some of the chapters are also interspersed with “Purseonality Profiles,” stories of admirable women I’ve read about in the news who exemplify the 7 Wealthy Habits. Where appropriate, I’ve included the exercise “Striking a Balance,” which is designed to help you cultivate your female/male strengths. These various features work to support the ultimate goal of this work, to offer easy-to-follow, engaging investment basics, integrated into wealthy behaviors so you can undergo a Purseonality makeover. I was committed to creating an investment guide for busy women that allows room for personal choice, and for that reason, I stuck purely to the basics in chapters one through eight, and packaged subjects that require copious detail at the back of the book, in the “Pursessential” section. These are essentials for your purse—just as a pack of Kleenex or tube of ChapStick are always essential in your purse—but only when and if you decide that you need to use them. In the same manner, once you master the basics and principles of this work, you’ll be in a better position to decide how much more detail you need, and at that point you’ll be able to turn to the appropriate Pursessential. Purse utilizes a long-term strategy in which you keep money invested for five years or more so you can increase opportunities for gains. Numerous studies suggest that building a diversified portfolio over an extended period lowers risk levels. On the other hand, buying and selling investments on the basis of minute-to-minute price changes has been found to be very risky. You may survive and profit, but there’s a greater probability that you might lose. Purse readers with autonomous personalities may prefer to work through this book singly. Should you choose that option, there’s a good chance you won’t feel alone. As you begin to understand the process, connecting to a higher power might keep you energized. It may be helpful to use a journal to record your responses. Those who want to use social interaction as a way of remaining engaged in this process may prefer working collaboratively in Purse Groups. These should not be confused with traditional investment clubs in which members pool their money. Purse Groups function along the line of the Weight Watchers’ model. Purse Group participants offer one another support as they learn together and invest individually. If you choose this option, you will find suggestions for forming a Purse Group in the last chapter of this book, “The Sisterhood of the Purse.” And throughout Purse I’ll guide you to various websites. The Web has made investing available to millions of newcomers. Using it for investing is as easy as buying an outfit online. Finally, I want to conclude by raising my purse to the women on the highway who used theirs for protection. Working singly or in a group, you, too, can protect yourself against life’s unexpected forces as you learn to create a purse of your own. "[Deborah] is not only incredibly knowledgeable, she has that uncanny ability to make everyone feel she has a personal relationship with them. She has star quality” --Janet Wigfield, Working Mother Media. "An essential part of every woman's wardrobe is a great handbag and an essential part of every woman's household is A Purse of Your Own. 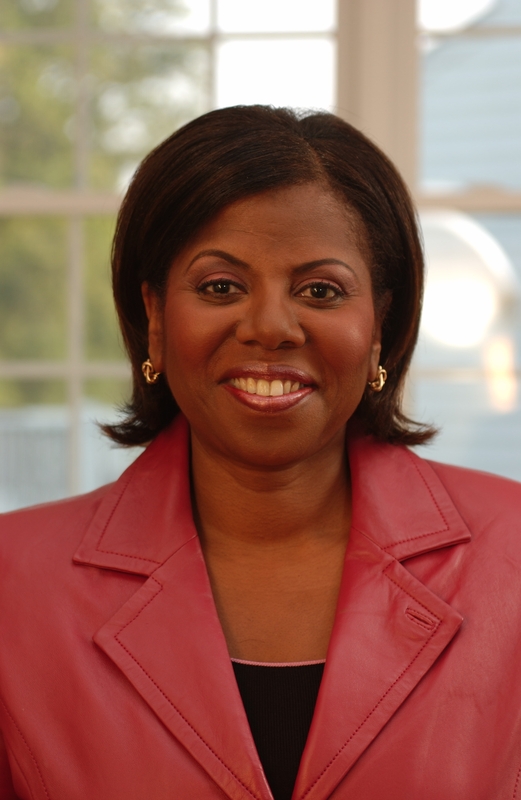 Thanks, Deborah, for your extraordinary wisdom and practical concepts to building wealth. This is the perfect tell-it-like-it-is guide for women to purse-sue actual wealth building during any economic climate." "It's a fact. Financially successful women think differently. And no one explains this better than Deborah Owens. She empowers all women to realize and act on their true worth." --Barbara Stanny, author of Prince Charming Isn't Coming; Secrets of Six-Figure Women; and Overcoming Underearning.